A: You should vacuum your carpet at least once a week if your carpet is in a high traffic area or you have pets you can vacuum everyday. 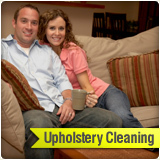 You should get your carpets cleaned professionally twice a year. Q:Why should I clean my carpets? A:A carpet acts as a kind of filter it traps contaminates such as dust and dirt particles in the fibers of the carpet and in turn lets you breath fresh air, in time this "filter" gets clogged so you should vacuum it often to improve your air quality and carpet steam clean to decontaminate it. Q:How long does it take to clean a carpet? A:It depends if the room is prepped, which means the furniture has been moved and also depends on how dirty is the carpet but our technicians usually finish in about 20-25 minutes per room. Q:How soon can I walk on the carpet? A:Drying time is usually about 4 hours, opening a window and the door ,letting in air in the room and many more air circulation methods can help dry the carpet faster. Q:Do I need to move the furniture before the carpet cleaners arrive? A:Our technicians will love to move your furniture and help you in any way you need, if you are worried about breaking or harming any piece of furniture please move it yourself also moving the furniture before the carpet cleaner arrives can help save time in the carpet cleaning process. 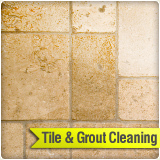 Q:Will steam carpet cleaning ruin my delicate carpet? A:No it will not, steam carpet cleaning has been proven time after time as the most efficient method In the carpet cleaning industry but we do take precautions and check the fiber before we start cleaning and we also have alternatives such as dry carpet cleaning and encapsulation methods. Q:What kind of cleaning solutions do you use? A:Our service only uses green care products as we value your health and the environment and truly believe in not only cleaning carpets but educating people about the dangers of using harsh chemicals as cleaning products, we can prove the almost every stain can be cleaned in a better organic fashion. Q:Do I have to be at home while my carpet is cleaned? A:Not at all, all of our technicians go through a complete background check and are well trained pro's, we do recommend someone to meet our guys when we arrive at your premises to go over the work order and inspect the house for any problematic areas. 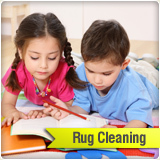 Q:I heard that carpets tend to get dirtier after you clean them, is it true? A:No it is not, carpets tend to get dirtier only if residue is left by using dry foam methods or not extracting the water thoroughly with steam cleaning which also can lead to mold. Q:Will I be charged for canceling a carpet cleaning appointment? A:You will not, we have a non obligation policy which means you can reschedule to a time that is comfortable for you and your family. 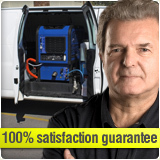 Q:I've seen carpet cleaning prices as low as 5$ per room, is that possible or just a carpet cleaning scam? 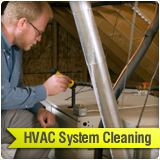 A:Usually services that offer such low prices will try to get you to pay more money when they arrive to your house, and also you should know that you will get what you pay for, services that offer such low prices should be inspected carefully and we do not recommend them as they can damage your carpets beyond repairing. Q:Do you charge more money for pre spray? A:No! 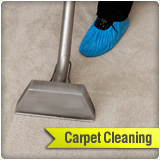 Pre spray is an essential part of the carpet cleaning procedure and we do not charge for it. Q:My carpet looks old and weary, why shouldn't I just buy a new one? 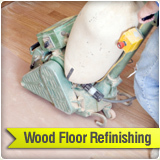 A:Old carpets can be revitalized easily with our advanced techniques, do not go spending your hard earned cash so quickly in just a small investment you can make your carpet look brand new and smelling fresh as daisies. Q:I ordered your service and I am not totally satisfied, what should I do? 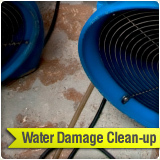 A:Call us immediately at 619-573-4541, we always try and presume we give the best service possible but we can also admit to mistakes, If you have any comments or problems with the service carpet cleaning San Diego has provided please let us know and we will act immediately to help you in a few ways, we can come over to clean your carpets again and even refund your money if you are not well satisfied.